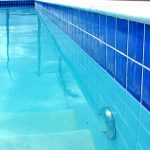 Home » Blog » Why purchase from Pool Operation Management? You need to pay for installation of the part you purchased from the internet. And, we do not install items not purchased from us. We will only warranty our own labor. At the customer’s request, we can troubleshoot the item with the manufacturer via a phone call (once item has already been installed), but this time is added to the labor of the final bill. If the item is ruled defective and needs to be removed from the system and shipped back to the place of purchase, we will also assist in this, but understand, this time is billable time. There is no exception to this. At this point, you have waited 5-7 business days to receive your shipment. You have also had to wait for it to be installed. Also if it is defective, you will now wait for the equipment to be shipped back to the online supplier. The time it takes for them to inspect it, and the 5-7 business days for a new item to be shipped back to you. During this time, you may be left without a running filtration system. With the short 16 weeks of summer we have, this could be devastating to your planned parties, graduations, stay-cations, or relaxing days off. This is an unnecessary hassle! We will install the equipment for you and verify it is functioning properly. Weeks later, if the equipment stops turning on or isn’t functioning properly, since the item was purchased and installed through us, there will be no additional charge for diagnosis. We will warranty the purchased item and the labor. If we install an item purchased from us and the item is defective, there isn’t much of a wait time to have the situation rectified. We can promptly return the item to our distributor, and return with a new product, with no additional shipping costs! method. This is the Pool Operation Management way!